You don’t have to get somebody from the legal world to take on the responsibility of winding up an estate. You just have to remember that there can be disputes over assets and debts, and this alone might mean a family requiring an active, sound legal mind. When people die, the executor of an estate has a first duty to locate the Will if there is one to see about disbursing property to the mentioned beneficiaries. The deceased’s estate consists of assets and liabilities. In order to administer an estate, as an executor, you’ll be paying the debt, settling liabilities and transferring the remaining assets to the nominated beneficiaries. The executor is the person responsible for the administration of the deceased estate. His or her appointment is approved by the Master of the High Court, who is also ultimately responsible for ensuring that the executor performs the required functions appropriately. They are the one who will be representing your estate. Some people like to choose a family member to act as the executor as they have more knowledge of your estate and affairs. Then again there are others who immediately look to hire a professional executor. If you are the executor of an estate, you need to have your wits about you. Are you unaware of all the details this responsibility involves? Here are ten tips for the Executor of an Estate so that you can assume your responsibilities with confidence. 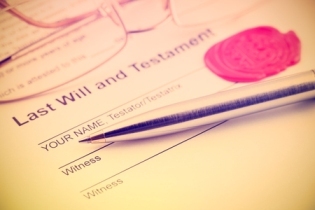 The first step for the Executor of an Estate is to help with the funeral arrangements. The estate pays these costs. You’ll need copies of the death certificate when notifying life insurance, financial accounts and also for filing the final tax return. So whoever appointed you as Executor will know where the Will and other documents are. The Executor has to report a deceased estate to the Master of the High Court within 14 days of the date of death. The Master then issues a letter of confirmation for the executor. The Executor starts finalising the estate. As an Executor, you’ll be dealing with the liabilities and assets of the estate. You’ll need to be working on the final reconsolidation. As an Executor, you’ll need to look at all the applicable assets that form part of the estate. You need to gather cash to pay debts which the surviving spouse may not have available. The spouse may not be able to wait until the finalisation of the Estate. The executor must get valuations of assets, which can become complex and involved if there are shareholdings in unlisted companies. The Executor opens a Liquidation and Distribution account. That’s so the executor can send letters to debtors and creditors to determine claims for and against the Estate. The executor needs to place notices to creditors in certain publications such as the newspaper and the Government Gazette. As the Executor of the Estate, you will need to be communicating with all the different beneficiaries, keeping them updated with how things are progressing. The Executor has to look at all the liabilities and outstanding debts in the estate administration. This is important because the balance needs to be calculated regarding the assets and liabilities. There are bound to be legacies or bequests which will need to be processed. Some deceased estates are so full of complicated issues that winding it up may well require the help of a lawyer. A well-appointed executor will wrap up your affairs, distribute your assets and do it all as speedily and smoothly as possible. Get a FREE life insurance quote. Just complete and send the form now.